Dip Your Way To Gorgeous Nails With Gelish Dip! The soak-off gel polish brand you trust has brought you a high-quality Acrylic Dip System you can rely on for great results every time… If you’ve been on the search for an Acrylic Dip System like no other, you’re in luck! 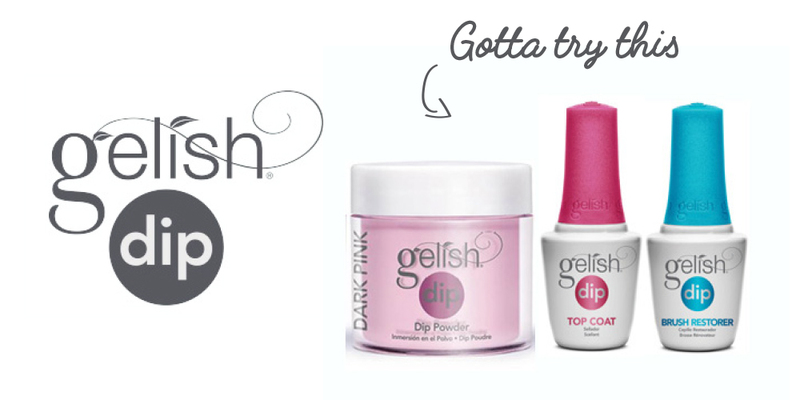 Introducing the Gelish Dip System brought to you by Gelish. And no odour makes it the perfect product for your nails! The Gelish Dip System is available in a selection of colours, including crémes, glitters, shimmers, metallics and 5 French shades. So no matter what your style or personal colour pal- ette, you’re covered. All colours are matching to Gelish and Morgan Taylor shades too! The French Dip Jar included in the system, creates perfect smile lines every time. The two sides of the jar give you the choice between either round or oval French smile lines making your application super-fast, easy and precise! No light needed makes the system even easier to apply and fill over traditional acrylic. It lasts up to 14 days, giving you 2 weeks of beautiful wear.